This stunning first floor apartment is bathed with natural light due to a range of full height french windows in all principle rooms opening onto the handsome full width balcony. 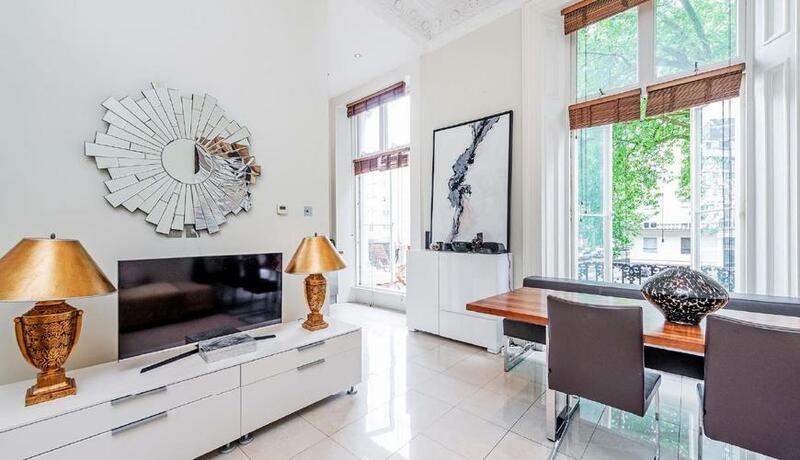 This stunning apartment boasts gloriously high ceilings and is laterally spread across the much sought after first floor of this handsome, recently renovated, stucco fronted terrace. Literally bathed in natural light, all principle rooms boast full height french windows and open onto the impressive full width balcony. 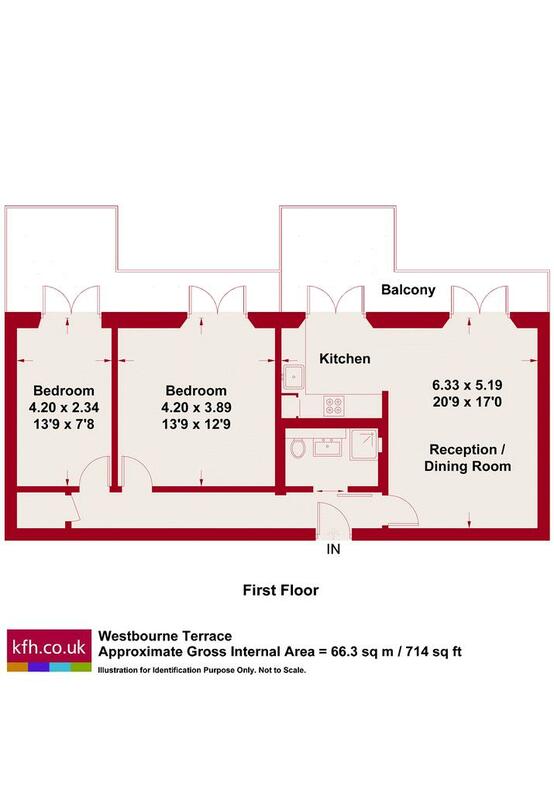 Living space comprises a large reception room, fitted kitchen, two double bedrooms, bathroom and balcony. There is useful storage and the potential of a designated off street parking space (subject to agreement). Westbourne Terrace provides enviable convenience, being within a short walk of the green open spaces of Hyde Park and Kensington Gardens, the soon to open Elizabeth Line and Heathrow Express and Central Line at Paddington and Lancaster Gate stations and the renowned shopping and restaurants of fashionable Westbourne Grove and Queensway.